They loved it. Said I was quite an attentive gift giver. Perfect for young couple to entertain with style! I am thrilled with these...will you consider producing an orange version, please? I did a test and these are Fantastic! Can't wait for our next dinner party to show them off. Great idea, love that they can be stored flat. I gave this to our friend in Italy. She loves them, I love that they were made in USA! 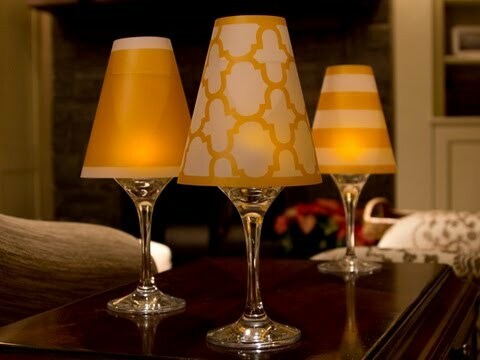 Set electronic tea lights inside wine glasses and top with Diahann’s vibrant paper shades, and the whole vibe changes. It’s instant ambiance—and it’s easy, affordable, and safe.